Starring: Tom Sizemore, Sasha Alexander, Bill Smitrovich, Sprague Grayden, Omid Abtahi, Ray McKinnon, Randall Batinkoff. Plot: A retired and weary Hitman comes out of retirement after being presented with an opportunity to make a quick buck in what would be an easy hit but instead found something of more meaning than money, now he must choose between carrying out the order he was hired for or venturing forth into the unknown. The Story is about: Price, a former Hitman, is struggling to cope with retirement. He left the assassination business to live the "easy life." However, retirement arrived with its own agenda. It was not the instant peace and calm that Price expected. 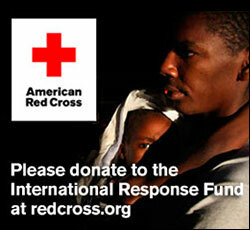 Rather, it was emptiness, boredom, and, worst of all, restlessness. Price is plummeted back into his old life and forces him into a corner from which he may never escape. Price's old ways no longer work for him when his heart opens, and he finds life beyond his profession. The tension finally boils, as Price must decide to close himself off again or open himself up to a world beyond his control. My Thoughts: Someone once said “You make a living by what you get, but you ma ke a life by what you give.” For those who have taken but never given back in return will reap what they sow, as for the life of an assassin or as they are called in more modern times, ‘contract killers.’ Living life is quite simple in the sense of only taking but never really giving back, they take payment in exchange for taking the life of others; everything in the life of an assassin is up for the taking, but never giving back. And so because of this they live the ending chapters of their lives empty inside and alone, an ironic sense of misery can be seen in the light of this, because though the ideology of being a killer for hire may make one ‘rich fast,’ it still leaves the mind and soul weary and filled with an endless herd of sleepless nights. Much like all tale s of murder, the cinema has shown over the years that, to kill one mustn’t have a conscience within them for if they do they will encounter an existence of misery filled with loneliness and the ever so widening void of emptiness. Recently I viewed a privet screening of actor Tom Sizemore’s latest film The Last Lullaby, which is the directorial debut of up and coming director Jeffrey Goodman. Goodman brings forth a film that presents the concept of having to deal with the emptiness that resides within all who face retirement after serving a life long career of doing what they are best at, that sense of purpose that drives us is no longer there, and suddenly we’re searching for it again someway somehow, especially if you’re a former assassin for hire like the film’s main character. 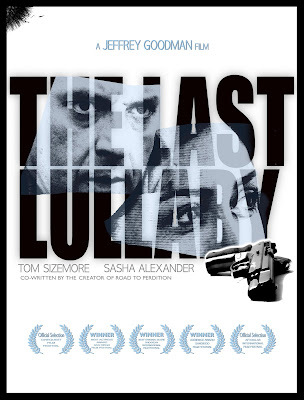 The Last Lullaby showcases the tale about a contract kill named, Price (Sizemore) a man whose conscience come into play after coming out of retirement for one last job only to gain romantic feelings for his latest contracted hit. Unlike most films in its genre, Last Lullaby seems to bring something other films lack in, and that’s its sense of realism and legitimacy in the face of what a real life bought and paid for killer really is. Unlike many films which always depict a Hitman as a well built well skilled killer without a single inch of fear within them. However this is a very common mistake you see, because the real life killers don’t look anything like Hollywood’s elite A-list faces, they’re not like Jason Born nor are they at all fashion experts, because if they were than there wouldn’t be a reason for taking on such a bloody risky job now would there? No, real killers look just like you and me, they have their problems and daily struggles just like you and me, and much in the same respect live lives quite the same. Which is basically what this film shows, it shows that even the most harden of people go through the motions of emotional pain and problems as we do, and at the end of the day must make the same moral decisions as every other person. The film is a terrific hybrid between a classic style noir and modern age noir that sho wcases the movie with a richly dark emotional undertone that seems to carry the film without ease, that at times there are moments where the actors body language is saying so much to the viewers without so much as a word being spoken, however I admit that when I started watching it I felt the film was running on a very slow pace for my taste, but after awhile it grew on me, because the film isn’t meant to be a fast paced loose action film, but rather a film in which develops slowly and allows the viewers to appreciate everything as a hole rather than one or two things individually. However there are a few things that I had problems with, both are in regard to the beginning and that ending of the film, the first being the fact that in the film, the events the eventually opens the way for the main plot to take place was just way too coincidental and came off a little cheesy in the sense, and for some, this may give the viewer an incoherent understanding of the film from the star unless they are a 110% focused on the story and nothing else. The other problem I had with the film was its ending, the problem was within the ending its self but rather in the false sense of buildup of a milled climatic ending, the ending gives you the impression that it will end with some kind of big boom, and yet it still does more or less, but just not the one I was hoping for, but other than that I thought the film was very enjoyable and despite the slight disappointment, it’s still worth looking into. A s for the acting: Well, what can I say about actor Tom Sizemore that hasn’t already been said by someone else? He has preformed alongside some of the biggest of A-list celebrities and worked with some of the greatest filmmakers of our time. He’s been in some of the best films the 90’s has to offer, and has been highly praised for his acting talent by moviegoers for past work. And yet, a few personal mistakes take place in life and suddenly he’s demonized for it, I won’t dare to defend his actions of the last recent years nor do I agree with them, but one cannot deny that even with his flows he is an actor of great talent, and gave a performance that is nothing short of superb! His performance clearly shows a sense of sincerity that displays real life pain and emotion that connects the viewers to the character on a somewhat personal level that works quite nicely, though he does show a few rough spots in his performances from time to time it doesn’t hurt the film all that much and in some way adds depth to the character. Sasha Alexander was adequately satisfying, but I admit that other than the fact she used to be a part of the cast for the hit show ‘NCIS’ I know very little about her in general, but what I have seen of her in Last Lullaby does prove to be entertaining as performances goes, and warrants a closer look into her career on past, present and future works. Bill Smitrovich was fantastic in this, he’s one of those actors that you either enjoy watching him play one of the good guys in a film, or simply love to hate him as a villain, and in my opinion he gives the film exactly what is needed to balance it out nicely and gives a top notch performance. Ray McKinnon does a fairly good job, though at time I felt his performance to be lacking a tad bit, however he does give an acceptable performance none the less. The rest of the cast did pretty okay, but nothing memorable that’s worth mentioning here, and I simply live it at that. Final Say: The Last Lullaby was a very entertaining piece that proved to be engaging and enjoyable. The film points out two great things, the first being director Jeffrey Goodman is a name to keep an eye out for in the near future, and the other being actor Tom Sizemore may have taken a few heavy blows by the public, but this old dog has still got some fight left in him yet. Overall, even though I had a few disagreements with the film on some levels, I still had a great time watching it. I recommend it!